The Cherner Coffee Table is a molded plywood table with curved legs and a profiled table top. 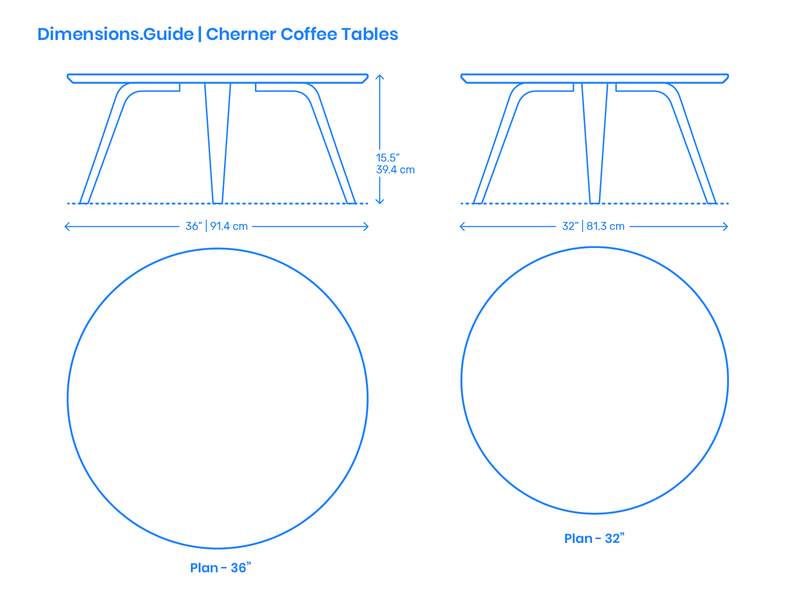 Designed by Norman Cherner’s son Benjamin Cherner in 2003, the strong and lightweight Cherner Coffee Table has a tabletop height of 15.5” | 39.4 cm and comes in two sizes: a large 36” | 91.4 cm diameter and a smaller 32” | 81.3 cm diameter. The Cherner Coffee Table is fabricated using molded beech wood plywood and a walnut veneer. What is the Cherner Coffee Table? The Cherner Coffee Table is a molded plywood table with curved legs and a profiled table top designed by Benjamin Cherner (2003). How big is the Cherner Coffee Table? The Cherner Coffee Table comes in two diameters of 36” | 91.4 cm and 32” | 81.3 cm with overall areas of 5.6-7 ft2 | .5-.7 m2. What height of sofa should be paired with the Cherner Coffee Table? The Cherner Coffee Table has a height of 15.5” | 39.4 cm and should be paired with sofas with seat heights between 15.5”-17.5” | 39.4-44.5 cm.